The U.S. Department of Energy estimates that about 30% of your home’s energy costs stems from inefficient and poorly insulated windows alone. This results in higher monthly bills, which put a strain on your household budget. When getting replacement windows in Michigan, make sure to look for innovative glass features that promote energy efficiency. They will increase your window’s overall performance and promote greater energy savings. Let Kroll Construction discuss several things you need to know about high-performance glass. Look for glass options that are engineered with low-emissivity coating. This protective layer reduces heat transfer to improve your indoor temperature. It can allow more daylight to enter your home without much heat gain. It can also block harsh UV rays to protect your furnishings from bleaching caused by solar radiation. This refers to the number of glass layers used in a window. The unit can insulate your home better when the air space between these layers is optimized. Our Alside windows are carefully designed to maximize this feature. They come in dual and triple-pane glass that has enough air space to prevent convection that causes higher heat gain. These individual glass sheets help improve a window’s energy efficiency. Design and material are the key factors to a window’s ability to resist heat loss and condensation. For your window replacement in Michigan, we highly recommend our options that feature an effective spacer system. Unlike typical metal spacer, our U-channel spacer creates a strong barrier to retain insulating gas and minimize heat loss. Inert gases like krypton and argon fill the glazing of windows. They help improve insulation and lower heat transfer. They also work with the low-e coating to enhance thermal resistance. Working together, these components can ensure a high-performing glass. 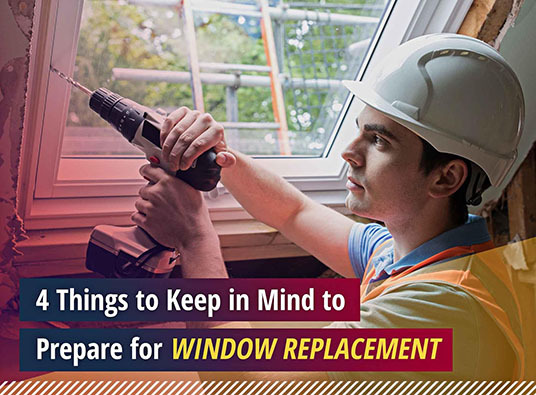 As one of the top window companies in Michigan, we highly recommend checking these essentials to ensure that your new windows will provide maximum energy efficiency. To learn about our high-quality windows that can provide your home with lasting value and performance, call us today at (888) 338-6340.